Get free delivery this Monday 9th and Tuesday 10th October on our Stop the Press hot pink flower arrangement, featuring a beautiful combination of gerbera daisies, roses and cottage-garden snapdragons. 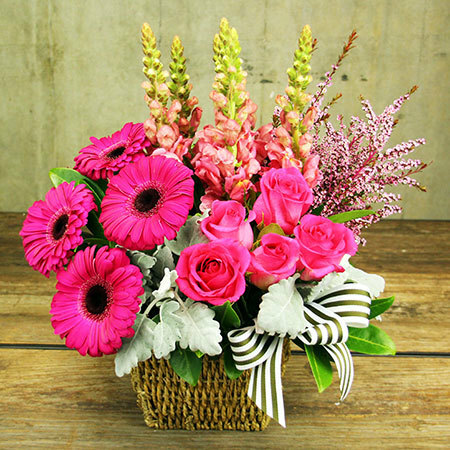 Stylishly presented in a basket with a mix of fresh greenery, this gorgeous spring flower basket is a guaranteed winner. Order NOW for free delivery in the Sydney metro region this Monday 9th and Tuesday 10th October!